If you plan on meeting single women from Medellin for love and romance, the first step you should take is getting to know the culture and traditions of Medellin women first. Hailing from the “City of Eternal Spring”, its people have had a difficult past. Their past struggle is what led Medellin to become one of the central cities in Colombia. Nonetheless, it is the people that has shaped the city into what it is today. By continually overcoming their hardships, Medellin women and men have become known for being resilient and independent people. These traits are attributed to their culture and traditions. Thanks to the influence it has, the city continues to flourish and improve. Through their deep-rooted practices, Medellin has become a popular tourist destination today. With their all around sunny weather, friendly people, and numerous historical and cultural spots, it is a city one should add to their must-visit list. If you intend on meeting single women in Medellin for a genuine relationship, it is essential to learn more about their culture first. The Republic of Colombia is a nation that has a diverse ethnicity, yet has predominant religious values and practices. About 85% of the country is Roman Catholic, while the rest of the population is Protestant, Atheist, or Adventist. Their religion has had a large impact on their practices and values, which is apparent even today. Sign up for free on our site and get a chance to meet beautiful, single women in Medellin! Due to majority of its people practicing Catholicism, most Medellin ladies are conservative and traditional by nature. When it comes to romantic relationships, these ladies prefer to take things slow and spend time getting to know a suitor first. The vast majority of these women are marriage-minded, which means they want to get to know what a suitor is really like first, before they make any sort of commitment. As a result of their religious beliefs, Medellin women are family-oriented as well. They value the bond they share with their parents and relatives, often placing them high above in their list of priorities. When entertaining suitors, they expect the man to go through a courtship that involves their family and close friends. When you court your Medellin lady, it is important to form a strong bond with their family as well. These ladies value the opinions of their parents and relatives and because of this, you must gain their approval if you hope to take your relationship to the next level. Their strong adherence to religion also means they usually enter a new relationship with marriage in mind as the end goal. 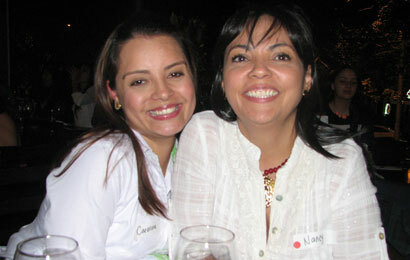 While modern Medellin women today are more open-minded, they prefer to have partners who share the same beliefs. Even though you may not necessarily have the same religious practices, mutual respect is important to them. Due to their traditional mindset, it is common to apply these practices when they get married. Aside from having a traditional wedding ceremony, it also means raising their children to have the same practices as well. The family and household are both very important aspects in the lives of Latin women in love. The culture and traditions of Medellin women are heavily influenced by their culture and religion. Their families are often their support system, offers them security, and is a large part of their social circle as well. 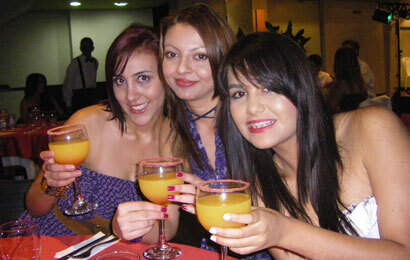 Join our Medellin singles tours today and meet your lovely Medellin bride. It is because of their tight-knit families that Medellin girls are raised well. Due to their traditions, these girls are raised with a patriarchal mindset. This means they respect the men in their lives, such as their father and the elders in their household. While these women are independent and self-sufficient as adults, they will always place the men in their lives with the highest regard. When you settle down with your lovely Medellin bride, it is expected of you to become the head of your family. 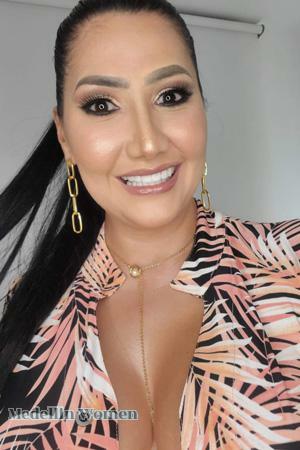 While your Medellin lady might have her own career or business, it is not uncommon for the woman to put her career on hold to take care of things within her household. This is especially true when you have your first child together. When it comes to matters involving the household or your family, she will turn to you to discuss important decisions that need to be made. The religious values of Medellin women also means that she will raise your children the same way. It is for these reason that these ladies are regarded as ideal mothers and wives. You can expect your Medellin wife to be committed, loyal, and will put you and your family above all else. The culture and traditions of Medellin women are what makes them truly unique and amazing partners. If you would like to meet single women in Medellin, sign up for the best Medellin marriage agency and matchmakers today. Signing up gives you many perks, such as joining our romance tours and getting a chance to win a free tour to the beautiful city of Medellin! Register for free now, and tour the city of eternal spring with a beautiful Medellin woman by your side.